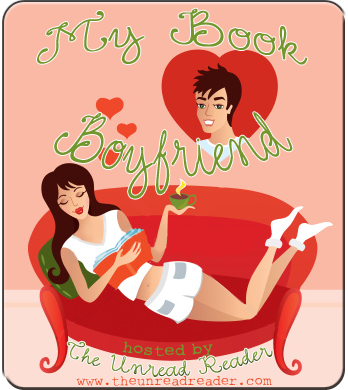 My Book Boyfriend #4: Ralston - My Life Is A Fairytale That Will Never End. Well well, this is the guy I've spent 2 weeks dreaming about. Literally. This guy is amazing. The book's name is Nine Rules to Break When Romancing a Rake and it's a historical romance. Well, I am really not in historical books, but good God this book showed me, what I was missing all this time. Because the romance was absolutely amazing! This guy has it all. ALL. Of course he's not perfect, he has mummy issues, which left him very aganist love as it self. So, he doesn't want to feel love, be in love, doing anything with love, period. Because love brings only pain and dissapointment. Like I said, mummy issues. But let me show you girls, why this guy is so so damn hot! He returned his lips to hers, claiming her mouth again, robbing her of all thought with a rich, heady caress. All she wanted was to be closer to him, to be held more firmly. And, as though he could read her thoughts, he gathered her closer, deepening the kiss. His heat consumed her; his soft, teasing lips seemed to know all of her secrets. When he lifted his mouth from hers, she had lost all strength. His next words pierced through her sensual haze. “Nevertheless—” She stopped, unable to remember what it was she was trying to say. He was so close. “Shall I show you how complicated attraction can be?” The words were deep and velvety, the sound of temptation. His lips were nearly on hers, she could feel their movement as he spoke, barely brushing against her. He lost his temper then, capturing her hand, wagging finger and all, in his own and using it to pull her flush against him. “If I am to be labeled as such, I may as well stop resisting the part.” And, with that, he kissed her. Oh, that guy is definitely rake-ish! I don't read much historical romance, but those quotes are making me reconsider. I love Ralston! Your model is super hot and perfect for him. Nine Rules was a great book and I'm glad you liked it. If you need any historical recommendations, let me know...there are tons that I think you would enjoy!